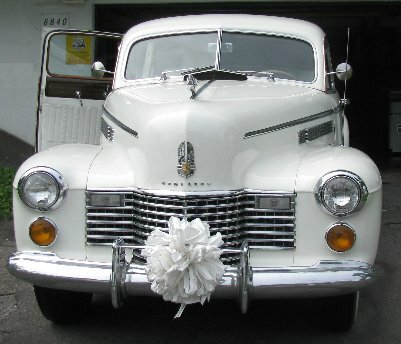 1941 Cadillac Sedan, completely restored. White leather interior all original parts. 3 Speed manual transmission, straight 8 engine. Ideal wedding car.